The Buriganga River (বুড়িগঙ্গা), previously known as “Old Ganges”, flows past the southwest outskirts of Dhaka city, the capital of Bangladesh. Its average depth is 7.6 meters (25 ft.) and its maximum depth is 18 meters (58 ft.). In the distant past, a course of the Ganges River used to reach the Bay of Bengal through the Dhaleswari River. When this course gradually shifted and ultimately lost its link with the main channel of the Ganges it was renamed the Buriganga. It is said that the water levels during high and very high tides in this river astonished the Mughals. In the 20th century the water table and river became polluted by polythene and other hazardous substances from demolished buildings near the river banks. 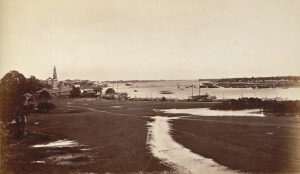 Photograph of Dacca (Dhaka) taken in the 1880s, from an album ‘Architectural Views of Dacca’, containing 13 prints by Johnston and Hoffman. 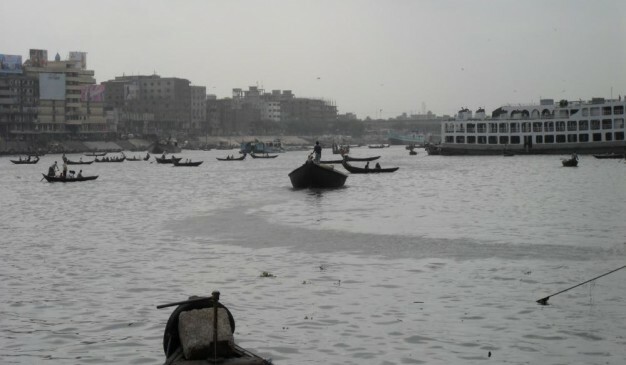 View looking along the river Buriganga towards the city of Dhaka situated on the left bank. A Hindu temple tower stands at the water’s edge. You can take local buses to go Gabtoli or Aminbazar to have a boat tour at river Buriganga. 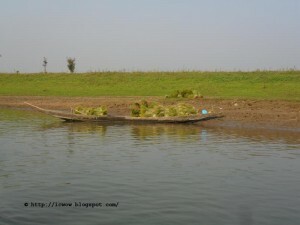 Kangsha (কংস), a river from Bangladesh (বাংলাদেশ). It has several names, Kangsha (কংস), Kangshai (কংসাই), Kangshabati (কংসবতী), etc. This flows through Mymensingh (ময়মনসিংহ) and Netrakona (নেত্রকোনা). All of the photos of this river were taken from Netrakona (নেত্রকোনা). The river is originated from the Garo Hills (গারো পাহাড়) of India and flows as Kongsho (কংস), and later joined with the Shomeswari (সোমেশ্বরী) river at Jaria-Jhanjail (জারিয়া-ঝান্জাইল). 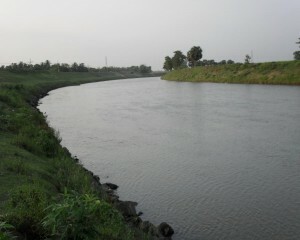 The river kept the name Kangsha (কংস) after joining together. Near the bridge you'll find two bazaar at either side. One is Jaria (জারিয়া), and other one is Jhanjail (ঝান্জাইল). People used to call this place as Jaria-Jhanjail (জারিয়া-ঝান্জাইল) together. During its course the river become too narrow and before demising it has joined with another great river of Bangladesh, Shurma (সুরমা), at Sunamganj (সুনামগঞ্জ). Comilla has two predominant rivers. One is Meghna River, and another one is Gomti River (গোমতি নদী). If you visit the river Gomti (গোমতি নদী) in the dry season, you may see that the water level of the river is too low. However, the flow of the river isn't less at all. You can experience the mighty flow of the river during the swim. 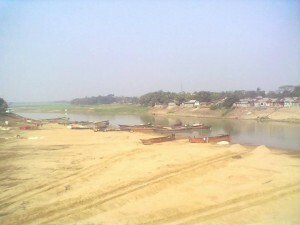 Boral River is the main river in Bagatipara which has divided Bagatipara Upazila in two parts. The origin of this river is from the river Padma started from the Charghat Upazila of Rajshahi district. The total length of Baral River is 120 km. It flows from Charghat of Rajshahi, and through Bagatipara, Lalpur, Baraigram, Natore Sadar of Natore district, Gurdaspur Upazila of Pabna district and joined with the Jamuna River. Once, this river was the main means of communication. In Monsoon, this river trail is used to transport goods from one place to another, but in dry season, the water way remains useless. The water of this river is now massively used for farming in the field. Once there were many fishes available in this river. Due to the At one time there were many fish in the river. Now, as the river silted up, the fish cycle is been destroyed. Kangsha (কংস), a river from Bangladesh (বাংলাদেশ)…. Our capital city dhaka is situated by the bank of the river Buriganga. 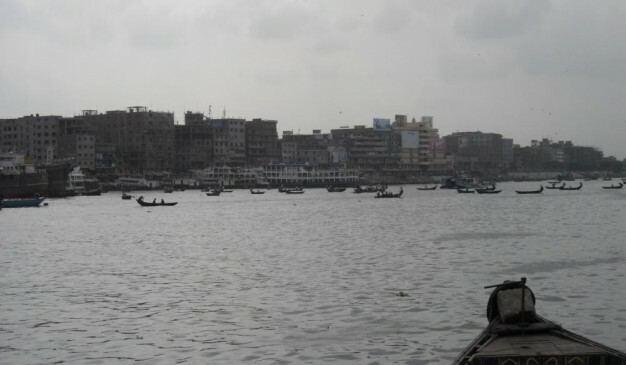 My previous experience about buriganga was really horrible. I first saw buriganga from the proximity of "Ahsan Manjil". The water was so black, and the smell was so pungent that I never thought I'll come to see the river once again. 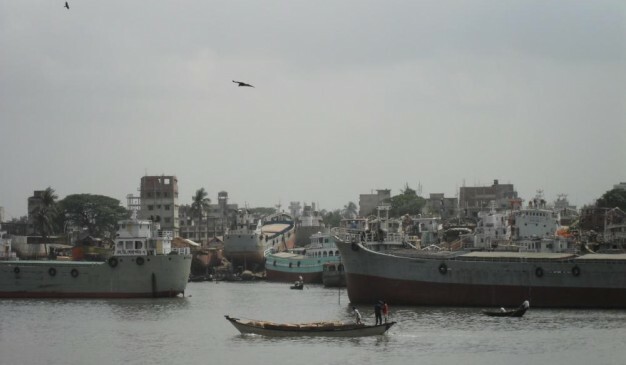 The Buriganga is economically very important to Dhaka. 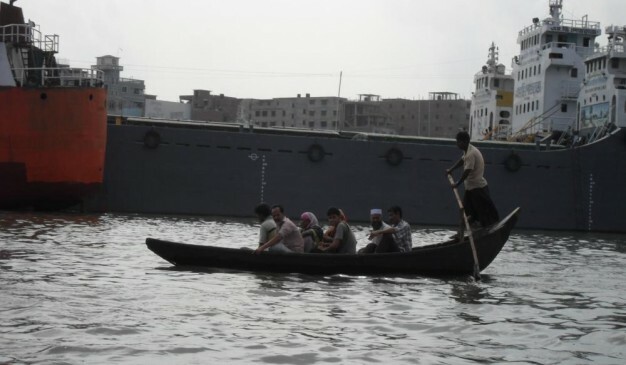 Launches and country boats provide connection to other parts of Bangladesh, a largely riverine country. When the Mughals made Dhaka their capital in 1610, the banks of the Buriganga were already a prime location for trade. The river was also the city's main source of drinking water.